I feel rather lucky to have got my hands on a bottle of this as the bottles were intended as special releases for share holders only. Thanks to Clay Chisholm for sharing one of his share holders stash with me. If you don’t know this is a collaboration with 2Cabecas brewers from Brazil to coincide with either the Brewdog Brazil opening or the World Cup. Or possibly both. It’s got that typical ‘brewdoggy’ signature IPA aroma – thick and strong with pine needles and citrus peel. There’s little passion fruit aroma but comes through like a ribbon of pure fruit juice on the taste. This is an American IPA that comes from a fairly new brewery that we’ll be featuring on the show in a few weeks. Paul Williamson from Hillside got in touch to send some samples and this was one of the samples he sent over, so thanks to Paul for this one. It’s branded as a ‘craft special’ and on opening has aromas of lemon sherbet. It pours a hazy orange colour with excited carbonation that races to form a thick, foamy white head. In the glass it smells like someone has dropped a bag of Haribo Tangfastics into my glass (not a bad thing) and the taste gives a big bitter hit that gives way to a dry, sweet finish. It’s like drinking a boozy, liquified lemon tart. More will be available from www.hillsidebrewery.com in time. I love Harviestoun beers. I particularly love the Ola Dubh series and was absolutely blown away last year when I got to try the 30. You can therefore imagine my delight upon receiving an email from Ewan at Harviestoun informing me that their latest addition to the series was on its way to me to try. Unwrapping the foil top (these beers really are presented in the most beautiful way) and cracking the cap there is a deep sweet, boozy aroma. Then there’s chocolate with a very slight hint of roasted coffee. It’s very smooth and there’s an initial rush of bitterness followed by sweet vanilla, and caramel flavours, this is amazing and it’s better than the 30. 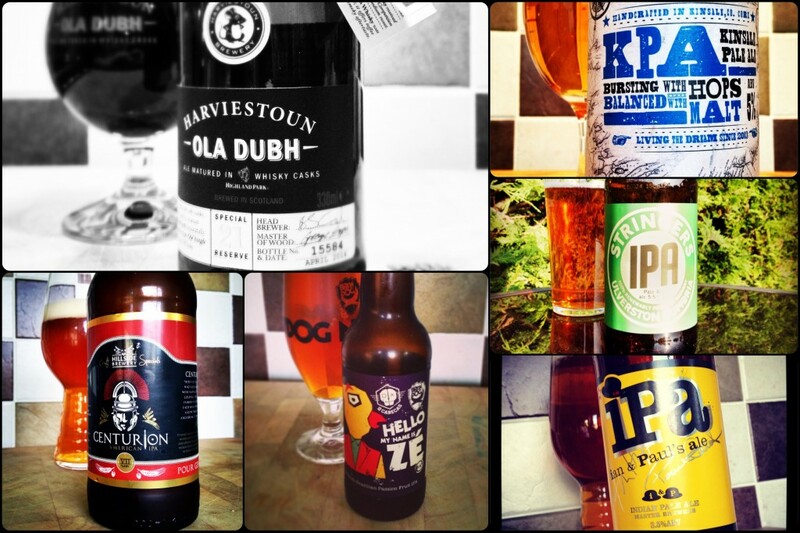 Thanks to Harviestoun for sending these beers through to us, it is very much appreciated. More details will be available from www.harviestoun.com in due course. The show returns at 6pm Friday 30 May with a feature and reviews on Camden Town Brewery.